Altissimo has you covered in all phases of metalwork and fabrication. Under one roof, we can replicate the factory panels for concourse restoration projects- better than most available aftermarket, assuring proper fitment. Our tooling consists of the use of power hammer, pulmax, shrinker/stretcher and English wheel. 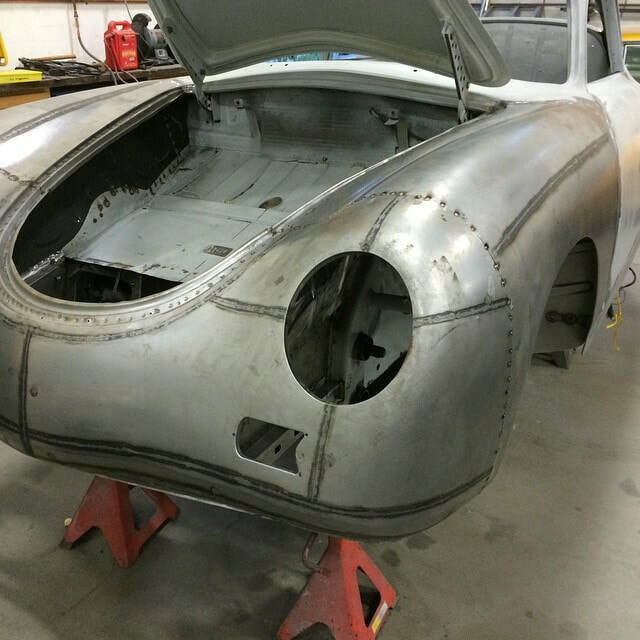 A lot of our work is vintage European sports cars, which largely utilized spot (resistance) weld construction. We offer the same service to reproduce exactly the same 7mm nugget weld necessary for concours judging. From panel replacement to chopped tops- mild to wild- Altissimo has you covered.